PRO-TEK™ has received a Flooring Innovation Award for its new range of WPC engineered vinyl flooring. 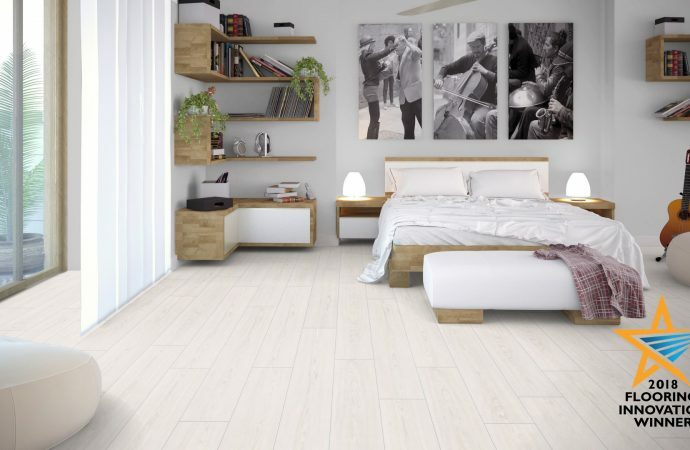 The new floor designs, which were officially launched at The Flooring Show, are offered in 40 waterproof wood and stone-effects. All designs are suitable for residential and commercial installation and are each offered with colour and décor-matched WPC vinyl-wrapped accessories. The Flooring Innovation Award scheme “recognises everything that’s new, exciting and innovative in the UK flooring industry”. This year, it attracted over 100 entries, across ten categories, with PRO-TEK™ WPC nominated as a finalist within the ‘smooths’ category. 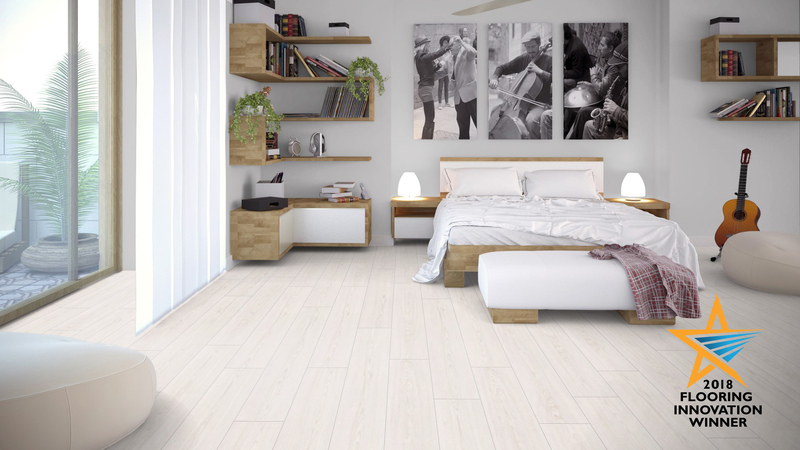 PRO-TEK™ WPC is a new floor innovation in the UK. It features a 100 per cent waterproof wood plastic composite core, with glueless locking system, and a premium IXPE foam underlay base. Its construction promotes a faster installation and reduces floor preparation requirements, as well as eliminating ‘telegraphing’. It also offers acoustic impact sound performance up to 24db and the materials used are phthalate-free and 100 per cent recyclable.